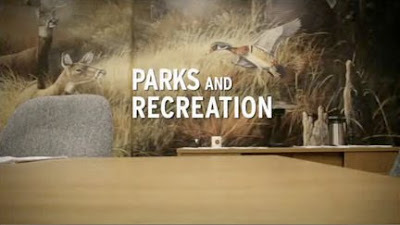 Back of the Head: Parks and Recreation 2x10 - "Hunting Trip"
The shot of the back of Ron Swanson's head at the very end was amazing. Strange how Mark kind of disappeared in the second half of the episode. Great cameo from Officer Jay from The Sarah Silverman Program. I liked the Andy/April team up in the office while everyone else was away. A lot. The multiple hickeys was great. And for once, no one shat on Jerry. Another fine episode to continue the streak.